Renee Walrath - Author Bio - Walrath Recruiting, Inc.
Renee’s diverse background in accounting, as well as management in varied industries, has led to her success finding Executive and Senior to Mid-level candidates for diverse corporate clientele. Her business has been ranked in the Top 5 for Executive Search Firms by the Albany Business Review since 2012, and was Ranked #1 in 2014, 2015, and 2016. 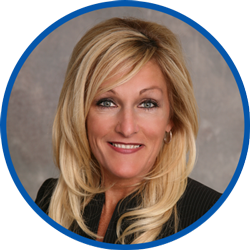 Renee was elected President of the New York Staffing Association (NYSA) in January 2016. NYSA effectively promotes the interests of the staffing industry through legal and legislative advocacy, education and the advancement of higher standards of ethical conduct. Walrath Recruiting has expanded its New York State Certified Woman-Owned Business since opening its doors in 2010, and Renee now manages office locations in both Albany and Saratoga Springs. Demonstrating a commitment to community service and an enthusiasm for female advancement, Renee dedicates time to many charity events. A self-proclaimed “Social Butterfly,” Renee is often found working the room at professional networking events throughout the Capital Region. Alongside working tirelessly to ensure Walrath Recruiting continues to thrive, she reserves time to spend with her family and travel extensively. Renee holds a Bachelor’s Degree in Accounting from Siena College. For career advice please visit the Walrath Recruiting, Inc. Blog – Coffee Break for our latest posts.